As water passes through the magnetic field of the Magnetball or the Universal Magnetrod, dissolved calcium molecules in the water will spontaneously form calcium crystals. The magnetic field in the water will then cause the calcium crystals to break up into smaller, disc-shaped calcium particles that are easily flushed out with the water instead of attaching themselves to surfaces, appliances or clothing. The result is a drastic reduction in the hardness of the water, because magnetically treated calcium crystals will release several hundred H20 molecules per single calcium molecule. The ability of water to dissolve dirt is therefore greatly increased. The magnetic field of the Magnetball, i.e. the Universal Magnetrod, will even dissolve existing calcification in appliances and surfaces over time, and calcium deposits that have built up on clothing will be flushed away so your laundry will become soft again. Simply place the green ball in your washing machine with the laundry. Reduce the amount of detergent by up to 50% and reduce the water temperature. Skip the fabric softener. Safe for top or front-loading machines. Place the green ball in the bottom rack of the dishwasher. Turn rinse agent to lowest setting. Baby Kangas now INCLUDE a JamTots One-Size Organic Hemp Fleece 2-Layer Insert! Baby Kangas have a.. 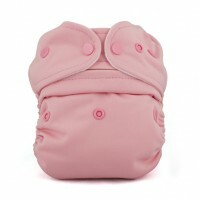 These chic cloth diapers are a must have for any diaper stash! The outer shells / covers are a s..